In the early 1800's, many techniques were developed to record an image on a light-sensitive material. One of the earliest and most important inventions of this kind was made in 1835 by Henry Fox Talbot, seen above, who created the first photographic negative from which multiple positive prints were made. In 1841 he patented the process and named it "calotype," Greek for "beautiful picture." Moffat, John. 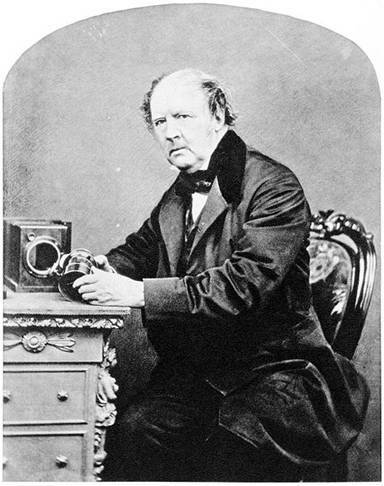 Portrait of Henry Fox Talbot – 1864. Wikimedia Commons. Accessed: 22 July 2010.